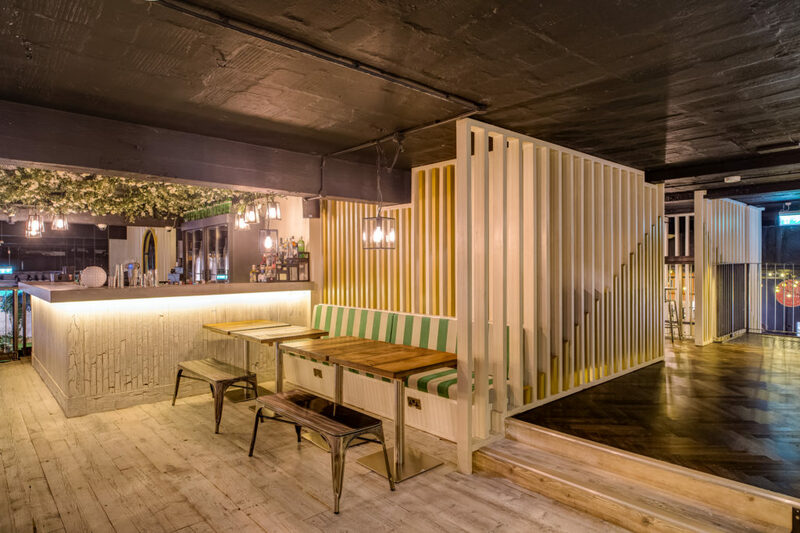 Following the success of their temporary “pop up” crazy golf and bar venture in East London in 2015, the Institute of Competitive Socialising began looking for a permanent setting in a more central location in capital. The answer came in the form of an abandoned World War Two bunker close to London’s distinctive Gherkin building. In a 22 week programme leisure industry specialists WFC converted the 16,000 sq. 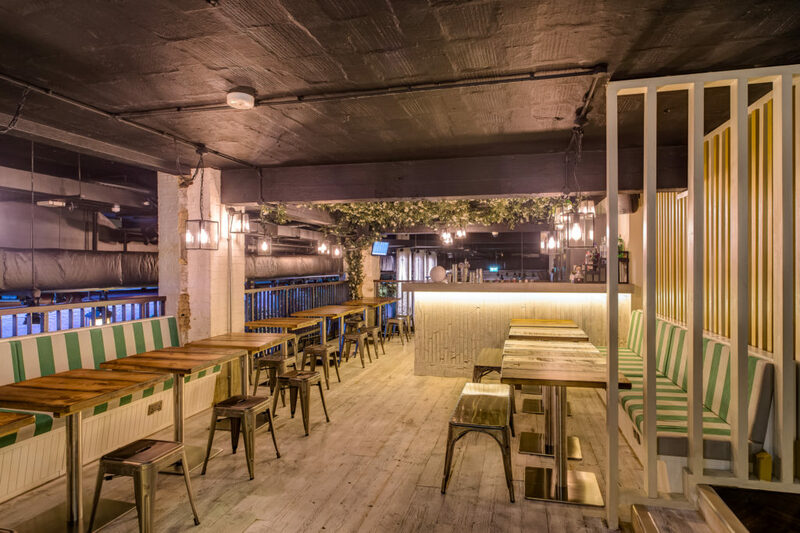 ft. space into two crazy golf courses amid artificial greenery with a two story clubhouse – on the upper deck Craftwood’s seating provides respite in one of the five bar areas. The styling gives a nod to the clubhouse of the 1920s, note the fire place surmounted by golfing trophies. One of Craftwood’s sumptuous deep button banquettes follows the curvature of the “exterior” wall, completing the atmosphere admirably. The stripes of of the straight banquettes complement the vertically slatted screens that are a feature of the clubhouse interior. 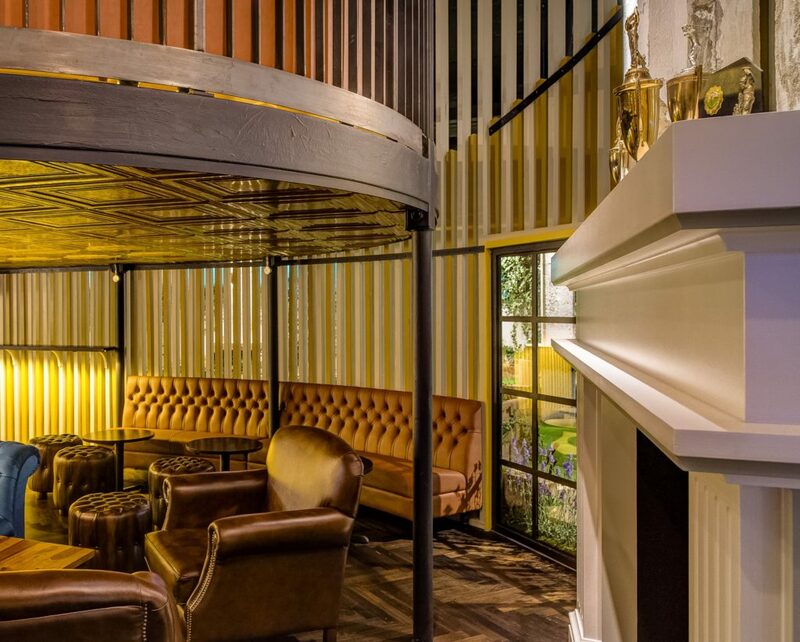 Simply stunning – Craftwood’s deep button back curved banquette with a return L-end, on the upper story of the clubhouse where crazy golfers can sip cocktails luxuriously, overlooking the two golf courses – appropriately named The Lighthouse and The Windmill. 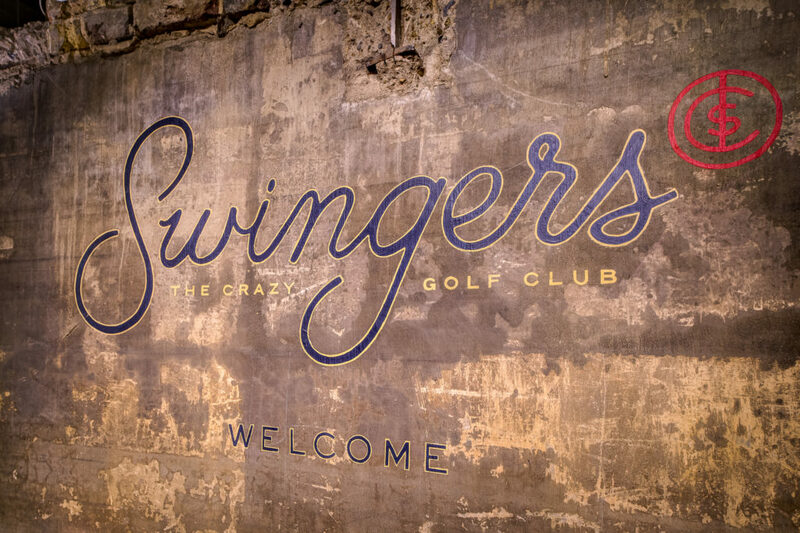 Following a trend for bars with a mildly competitive theme Swingers is London’s first permanent crazy golf bar. Opening in a flurry of media interest the concept has proven a startling success judging by the sheer numbers coming in to play a few rounds, imbibe and partake of quality street food at this indoor, outdoor venue. 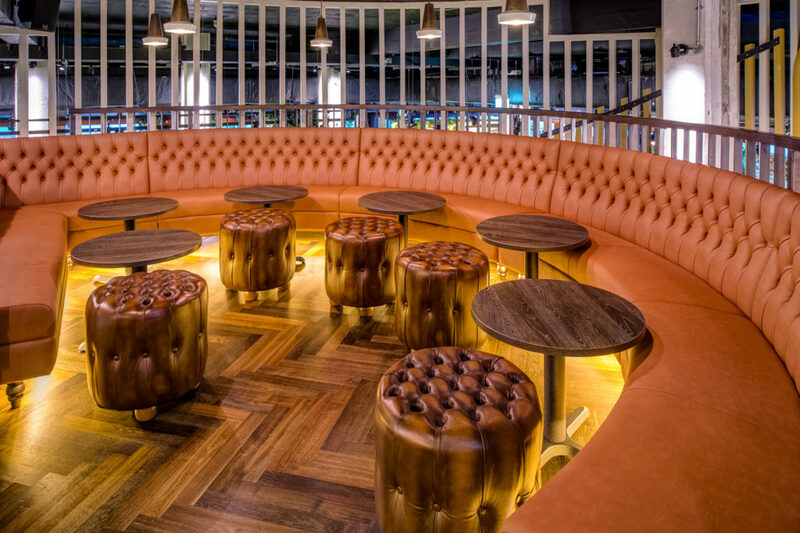 While Swingers may be crazy about golf when it came to choosing seating a more earnest approach came into play – with a commitment to quality, durability and with styles to suit every interior theme it had to be Craftwood.